This immaculately presented Ground Floor Flat sits in well kept communal grounds and has the benefit of an allocated space and visitors parking. There is a secured entrance with entry phone system to the communal hallway leading to the front door.. The entrance hall has a store cupboard, the lounge is open plan to the kitchen area which is well fitted with white high gloss units and there is a tilt and turn door from the lounge to a small outside terrace, this is not privately owned. 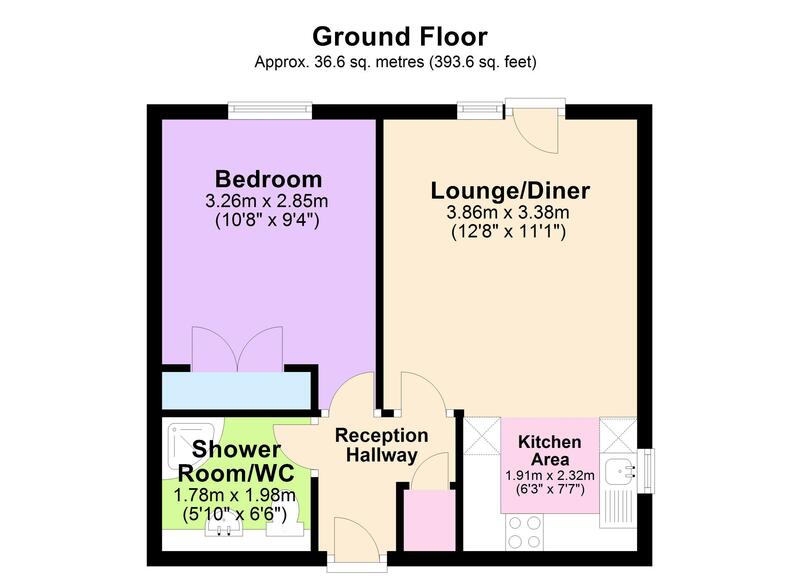 The bedroom has a good sized double built in wardrobe/store cupboard and the shower room is fitted with a vanity unit and concealed cistern with cupboards for storage. There is night storage heating which is only about 1 year old and uPVC double glazed windows and doors. Situated in a tucked away location close to Torquay Town centre having good transport links. 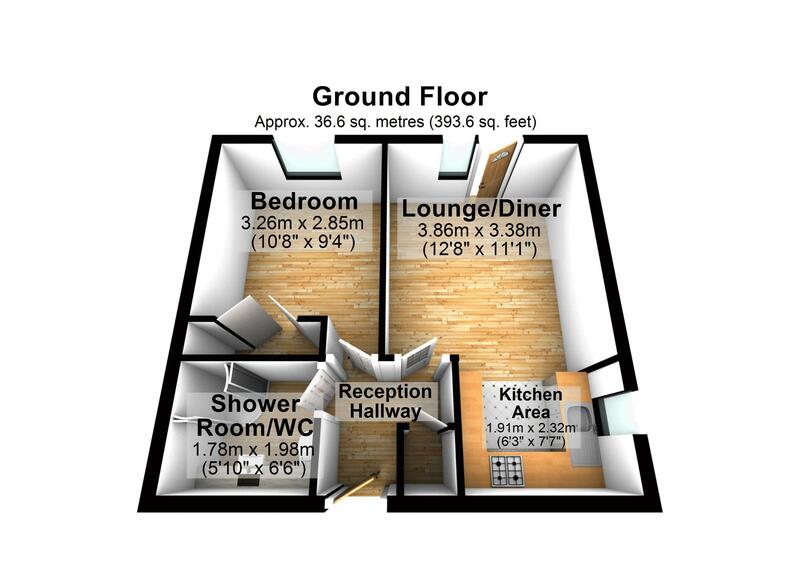 The apartment would make an ideal lock up and go, investment property or first time buyer. Immaculately presented, an internal inspection is highly recommended. • Night Storage heating installed in the last 18 months.